Because it’s the National Football League, the most popular and scrutinized sports entity in the country, there’s always going to be some semblance of hysteria in a time of perceived crisis. “Deflategate,” “CSI: PSI,” or whatever you want to succinctly call the “scandal” enveloping the New England Patriots as they prepare to take on the Seattle Seahawks in Super Bowl XLIX, took on some ludicrous turns Thursday, launching the topic into the stratosphere of absurdity, with little more than breathless hype keeping it afloat. The wall-to-wall media coverage that infiltrated Foxborough yesterday, when adults dug deep for the pivotal answers as to why an athlete would decrease air pressure in a football, was embarrassing, both for journalism and our attention span as a nation. In the time it took Patriots head coach Bill Belichick and quarterback Tom Brady to tell the world – the world – that they had no knowledge of any monkey business concerning the inflation of the balls being used in Sunday’s 45-7 win over the Indianapolis Colts in the AFC Championship game, Yemen’s government collapsed and Saudi Arabia’s King Abdullah died at the age 90. Yet, there were the Boston Globe’s Ben Volin and WEEI’s Kirk Minihane speaking on panels with CNN’s Anderson Cooper and Fox News’ Bill O’Reilly, respectively, on Thursday night, embroiled in the national issue of the day. The hysteria of Deflategate has reached a fever pitch where we can’t possibly separate truth from fiction. After Thursday’s Pro Bowl practice in Arizona, Colts linebacker D’Qwell Jackson, who was reportedly the genesis behind this whole mess when he intercepted Brady during the first half of Sunday’s game, told reporters that he didn’t alert anybody to the weight of the ball, contradicting, yet again, the timeline of events. “I’m a linebacker, I’m a defensive guy,” Jackson said. “If anybody recognized anything it definitely wouldn’t come from me. How did we ever possibly get to this point? Because it’s the Patriots, who have a history of trickery and deceit, any nugget of controversy is going to germinate into target practice. But this? This is like putting Aaron Hernandez away for life for a parking ticket. Earlier in the day, Troy Aikman said on a Dallas radio station that the Patriots’ punishment should be more severe than what the New Orleans Saints received for Bountygate, in which head coach Sean Payton was suspended for an entire season, among other penalties incurred. There are a handful of people on a national level who believe – truly believe – that the Patriots should vacate their spot in next Sunday’s Super Bowl. 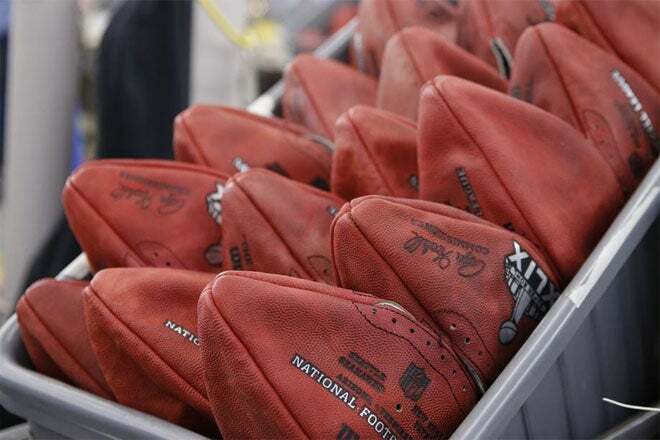 The aforementioned O’Reilly said on his show that, if Brady were to be caught lying about whether he had the footballs deflated, his legacy would forever be lumped in with the likes of Alex Rodriguez and Barry Bonds among modern day sports’ greatest cheaters. With inconsistencies swirling from every which way, it’s impossible to ascertain exactly just what took place from the moment Bob Kravitz broke the news of a deflated ball in the early hours of Monday. Did the Baltimore Ravens tip off their former defensive coach, current Colts head coach Chuck Pagano, about the situation prior to last week’s game? Was this Ravens head coach John Harbaugh getting back at the Patriots after Brady told him to go learn the rule book so he might not be confused by the use of ineligible receivers? (“You don’t think I know the rule book, pretty boy? Let’s see how well you can purport to know it.”) Or were the Colts seriously wondering about ball weight back when the Patriots ran all over them at Lucas Oil Stadium back in November, and only waiting until after they were routed in the AFC title game to raise the issue? Who the hell knows at this point? The NFL is doing the Patriots no favors either, with no public comment on its investigation, which mind you, hasn’t even bothered to question Brady about the accusations. There are rumblings that commissioner Roger Goodell wants to wait until the league’s premier event to address another hit on the league, which has had its share of issues in the public eye of late. Won’t that be a hoot next week? Sure. That’s just what the NFL wants, a Super Bowl with the potential of plummeting ratings by halftime because of a blowout. But this thing clearly isn’t going away before then, which means at least 10 more days of nonsensical howling about proper inflation weight, and what the ethics of air pressure means for how history will remember Belichick and Brady. But in the end, the real takeaway from Deflategate gate is clear. We, collectively as a media, sure know how to embarrass ourselves. Correction: An earlier version of this story incorrectly summarized Bill O’Reilly’s position on Tom Brady and his legacy.